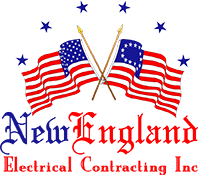 Pool, Sauna, and Spa Wiring - New England Electrical Contracting, Inc.
New England Electrical can install the wiring you need in your pool or sauna. The wiring is installed before any water is added so that the process is completed as safely as possible. Wiring can be added to pools and saunas of all sizes. New England Electrical Contracting Inc. will install electrical service for pools, spas and saunas, including lighting, heating, filtration and multimedia entertainment systems.